You may have heard that over the weekend on Saturday was National Lipstick Day. To celebrate, MAC Cosmetics was giving away free lipsticks! 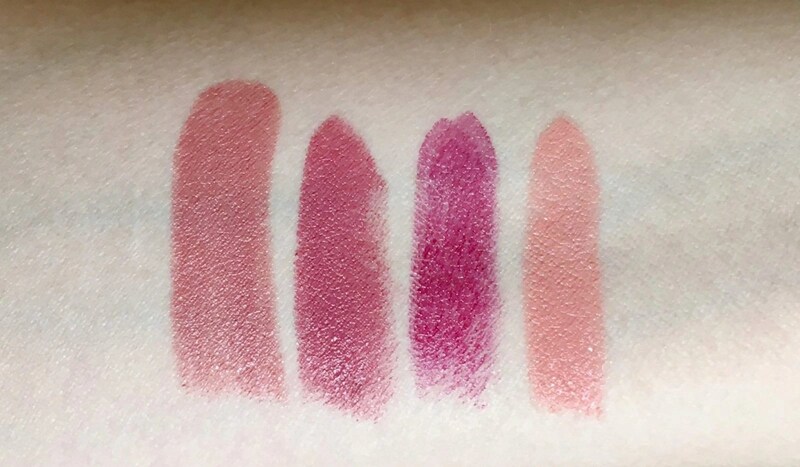 Of course, I stood in line for a couple of hours to get one, but I also wanted to honor the fun day by sharing the top four lipsticks you should check out! 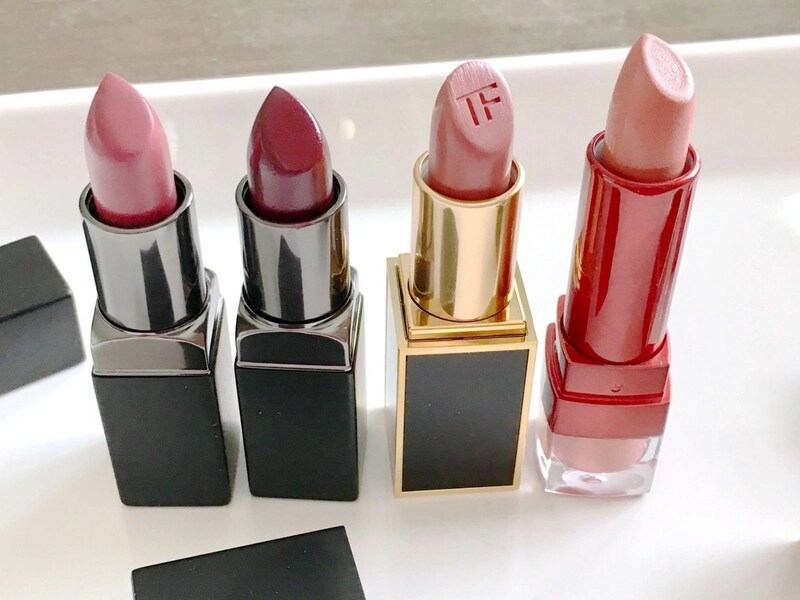 The Tom Ford lip color is definitely the most expensive lipstick at $54, but let me tell you, it’s the best. It’s the only lipstick that doesn’t require me to wear a lip conditioner underneath. The packaging is so luxurious, and the lipstick itself is a stunning. The color, which is Indian Rose, is the perfect everyday lipstick, it’s nicely pigmented and highly moisturizing. Which is why I don’t need to apply a lip conditioner beforehand. I have two shades from the line of Be Legendary lipsticks ($21): My Digits, and Black Cherry. My Digits is a great no fuss, everyday color. Black Cherry is a nice color for going out. But I wear is every day. I dab the color to my lips and use my fingers to spread it out to look more like a stain. I absolutely LOVE it! The lipsticks are nicely pigmented and nourishing. Since I rub the color on with my finger, I do apply a lip conditioner so it doesn’t get dry. 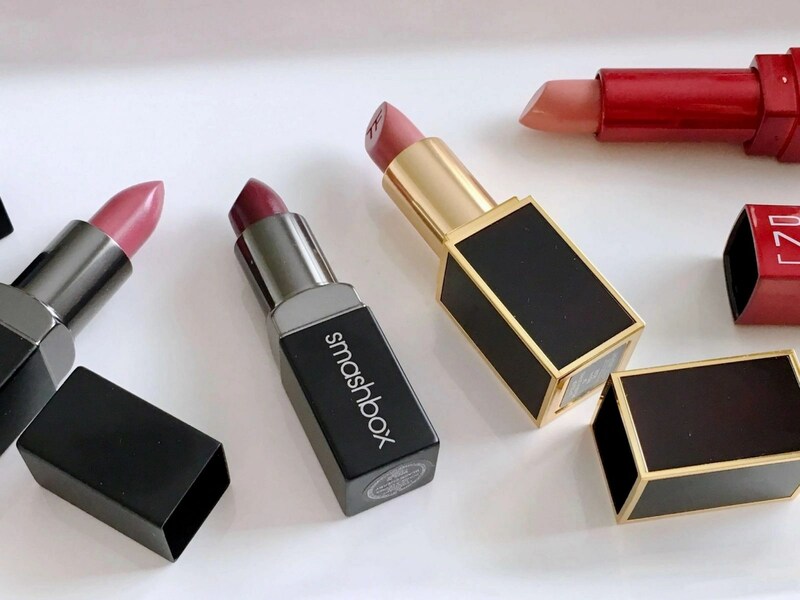 Smashbox is definitely a brand that no one is talking about but should be. 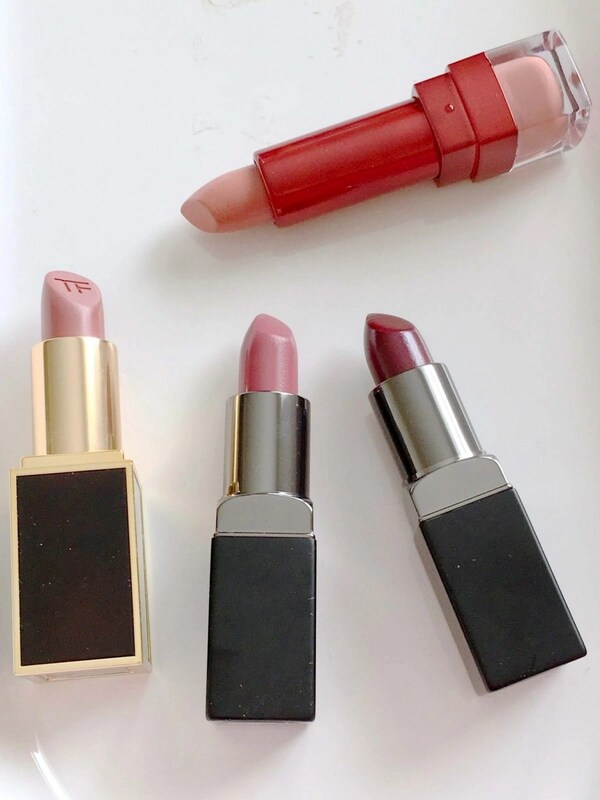 I love their products, and their lipsticks should be on your must-try list! If you’re looking for a lipstick to plump your lips than the Smooth + Plump lipsticks ($20) from Dermelect are definitely worth checking out. I have the shade Incognito (#5063) and it’s a great neutral peachy rose shade. Normally I can’t pull off wearing peach, but this one looks nice on me! I’m actually really surprised. I have full lips so I can’t tell if these plumped my lips or not, but I will say that I didn’t feel any stinging. Neither of the four lipsticks has a scent to them, so if you have any sensitivity to scents, you won’t have to worry about that. You can get each of these products from the comfort of your own home, by shopping online!